CarpetDeck2 tiles stack neatly and compactly for storage. We offer a specially-designed CarpetDeck2 Transport Cart (CD-TC) to speed installation and also to provide a mobile storage unit for tiles while not in use. 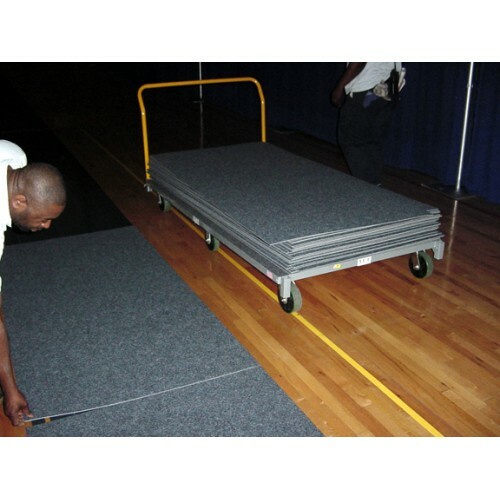 EventDeck Transport Cart Installation and storage of EventDeck Natural Turf Portable Flooring are..